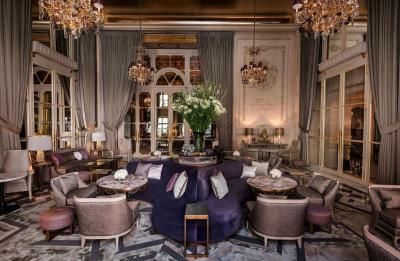 Lock in a great price for Hotel de Crillon - rated 9.4 by recent guests. The stuff was freindly and the service most of the time was good. Fasility itself is beautiful. Quietness of the room matched our request. Consierge and a room service was very good. Food at the bistro excellent... Car service was fine. 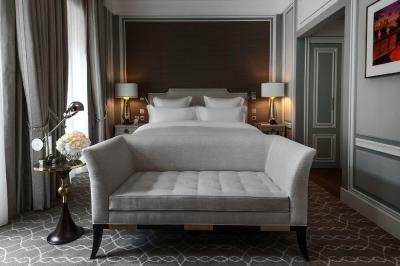 Beautifully designed, comfortable with great service. 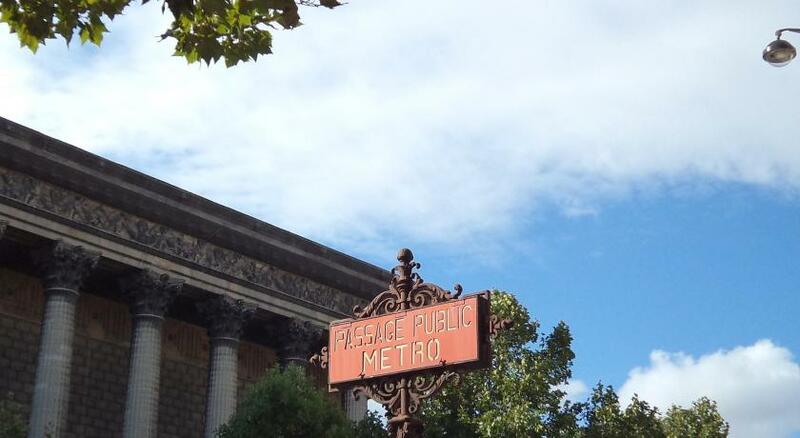 Located at the perfect location for shopping and sightseeing. Awesome service as always. Barber service fantastic. Fantastic hotel, great staff. Organising a champagne breakfast on arrival for us after an early flight for my girlfriends birthday was brilliant. Exceptional standards, wonderful and very comfortable. Everything thought of. 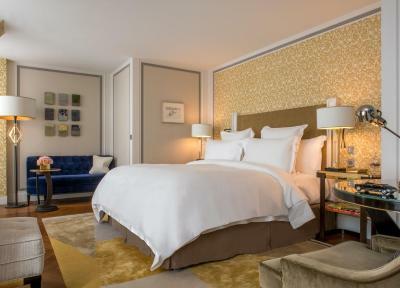 If we were to choose one thing to take with us that would certainly be the bed and sheets, extremely comfy. 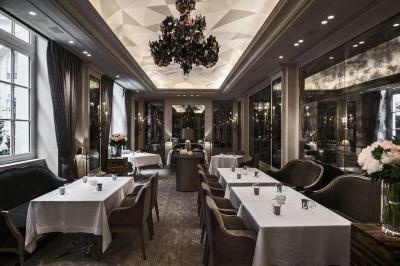 Furthermore, the food and ambiance at the Brasserie Restaurant is truly amazing. Bed was super comfortable. Really friendly staff. Excellent breakfast. 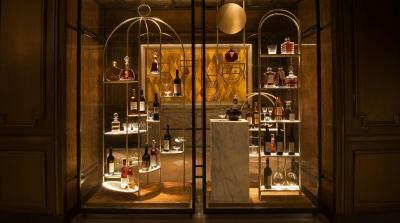 The decor was beautiful, the staff very good, but the revelation was L'Ecrin. 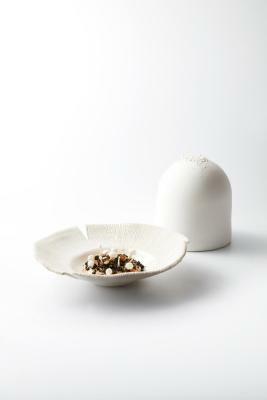 It has 1 Michelin star (thus far) but it outshone the 2 and 3 star restaurants I ate at. 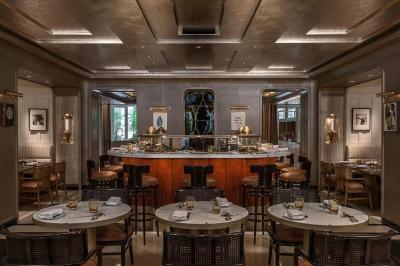 I also had a very good meal in the 'brasserie'. 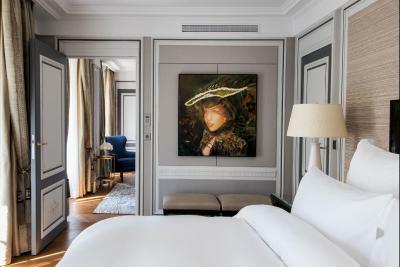 Hotel de Crillon is set in Paris, 350 yards from both the Tuileries Garden and the Champs-Elysées and 0.9 miles from the Louvre Museum. 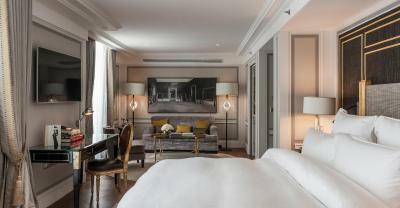 Some rooms have a balcony and views of the Eiffel Tower. The hotel features an indoor swimming pool and a spa. 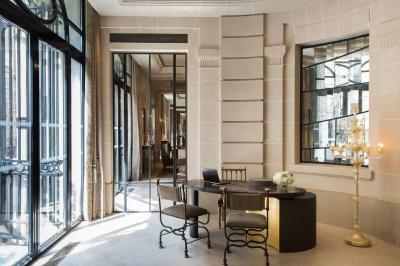 Each room at Hotel de Crillon provides views of the quiet pedestrian street or of the hotel's inner courtyards. 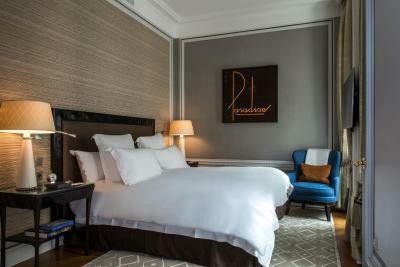 Rivolta Carmignani Italian linen and French Drouault pillows and duvets are featured. 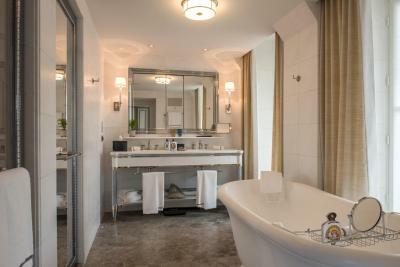 The spacious marble bathrooms feature underfloor heating as well as bespoke toiletries and a bathroom mirror with an inset television. A walk-in rain shower and a bath are also provided. In-room check-in and a Bluetooth sound system are available. 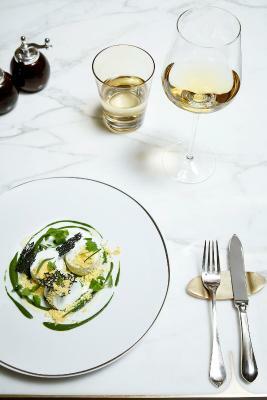 Hotel de Crillon provides 2 Restaurants, L'Ecrin which offers gastronomic meals and the Brasserie d'Aumont. 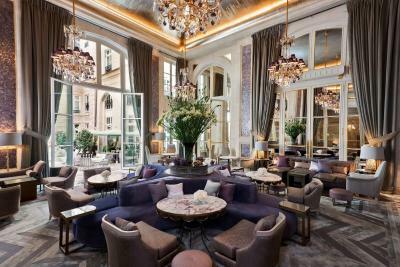 Guests can also enjoy a drink or a cocktail at the lounge bar Les Ambassadeurs or enjoy afternoon tea at the Jardin d'Hiver lounge. 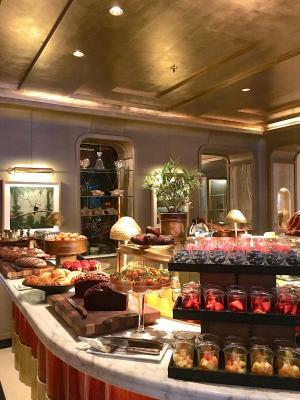 Buffet breakfast is served daily on site. 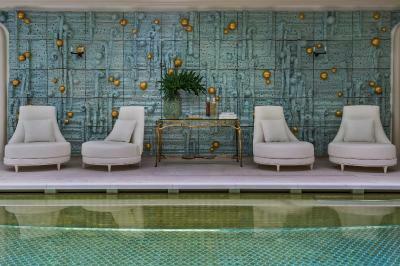 An indoor swimming pool with atypical decoration and a fireplace area is featured. Guests can also relax in the spa or enjoy massage and beauty treatments at an extra cost. A hairdresser and fitness centre are available on site. High-speed internet access is provided throughout. 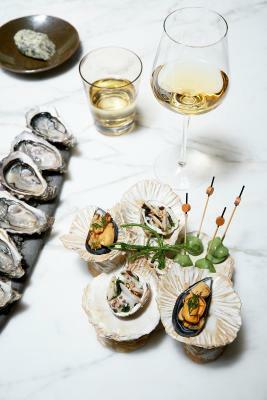 Extras include valet parking and a concierge service. The surrounding area is convenient for shopping and provides direct access to several touristic sites. An airport shuttle is available. 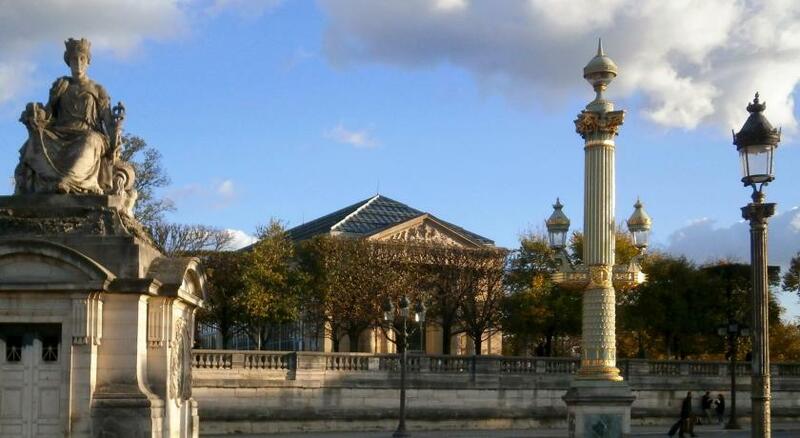 Orsay Museum is 0.6 miles from Hotel de Crillon, while the Grands Magasins Department Stores can be found 0.7 miles away. 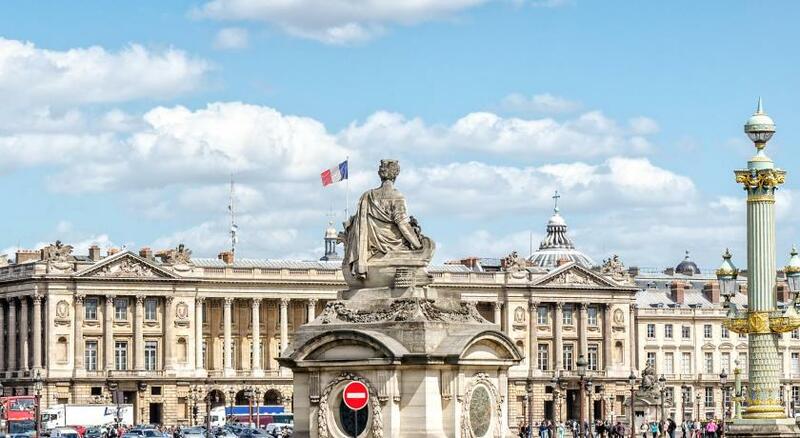 The nearest airport is Paris - Orly Airport, 14.9 miles from Hotel de Crillon. 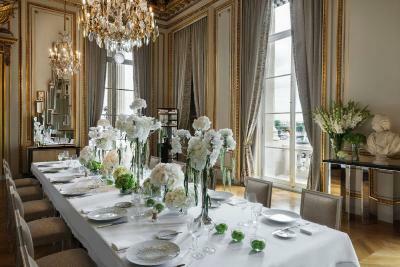 Hotel de Crillon has been welcoming Booking.com guests since 3 Jul 2017. 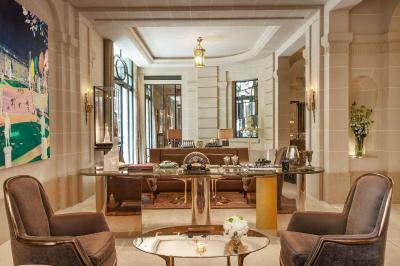 When would you like to stay at Hotel de Crillon? 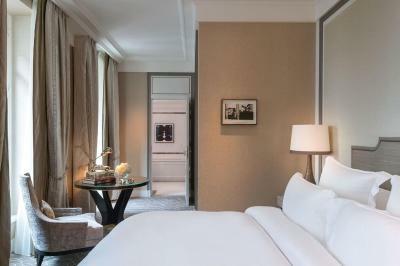 Located on the first floor, this room offers views of the quiet pedestrian street or of the hotel's inner courtyards. 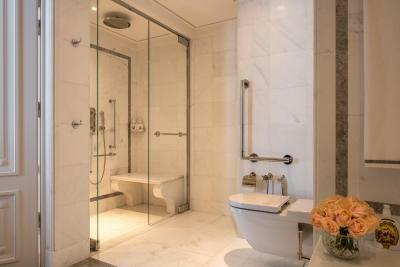 The spacious marble bathroom features underfloor heating as well as a bathroom mirror with an inset television. A walk-in rain shower and a bath are also provided. 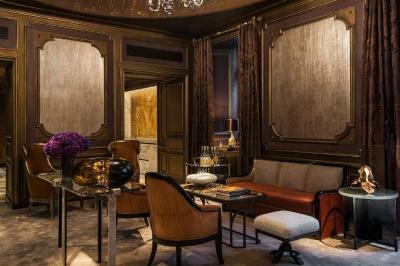 A Nespresso coffee machine and a selection of fine teas are at guests disposal. Public parking is possible on site (reservation is not needed) and costs EUR 55 per day. 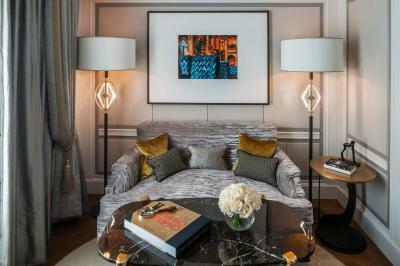 Decorated with elegant, bespoke furnishings and artwork, this suite provides a spacious bedroom and a separate living room. 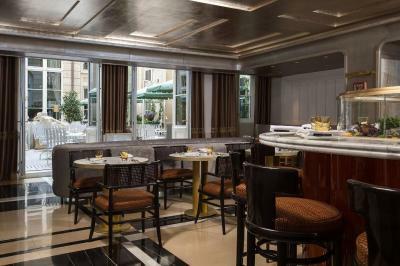 It offers views of the quiet pedestrian street or of the hotel's inner courtyards. The spacious marble bathroom features underfloor heating as well as a bathroom mirror with an inset television. A walk-in rain shower and a bath are also provided. 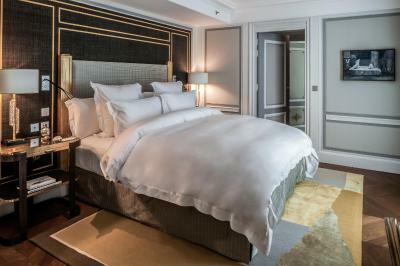 A Nespresso coffee machine, a selection of fine teas and a personal bar with complimentary snacks and non-alcoholic beverages are at guests' disposal. 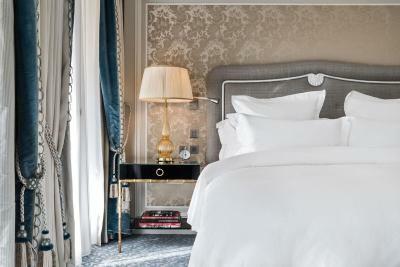 A butler service and complimentary pressing of 3 garments per guest per day are available. 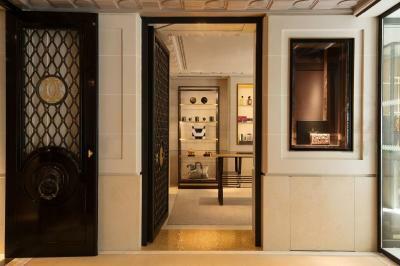 A Nespresso coffee machine and a selection of fine teas are at guests' disposal. 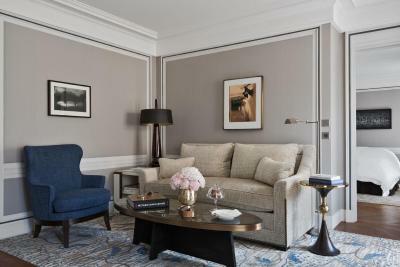 This room provides the charm of a modern Parisian residence with ample space. 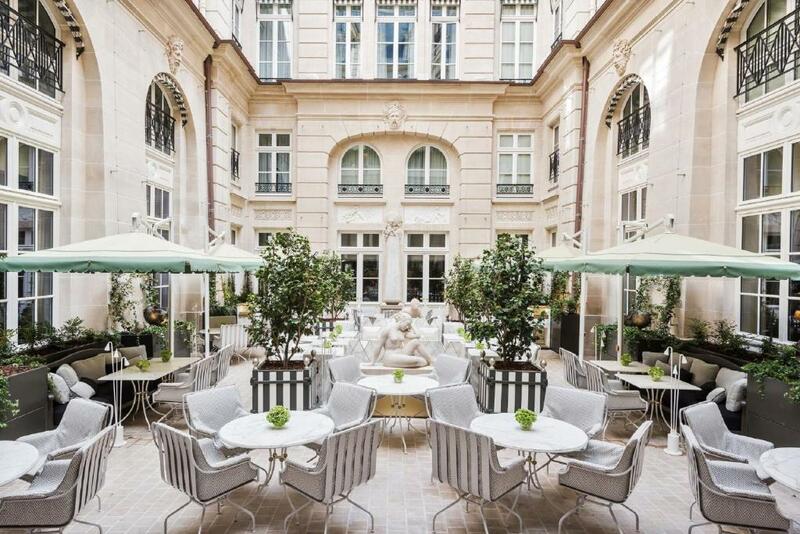 It offers views of the quiet pedestrian street or of the hotel's inner courtyards. 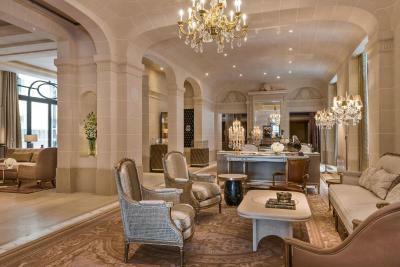 The large marble bathroom features underfloor heating as well as a bathroom mirror with an inset television. A walk-in rain shower and a bath are also provided. 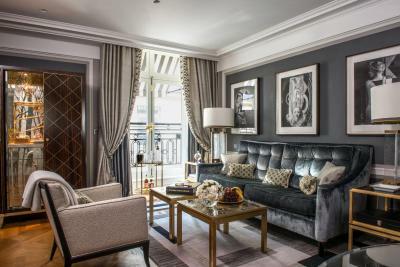 Designed in a quintessentially French style, this suite features a separate living room and a spacious bedroom. It offers views of the quiet pedestrian street or of the hotel's inner courtyards. 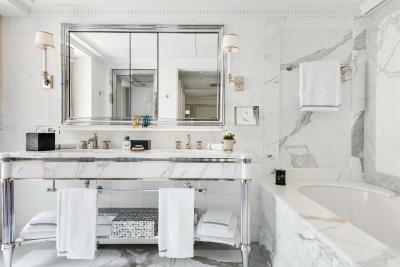 The large marble bathroom features underfloor heating as well as a bathroom mirror with an inset television. A walk-in rain shower and a bath are also provided. 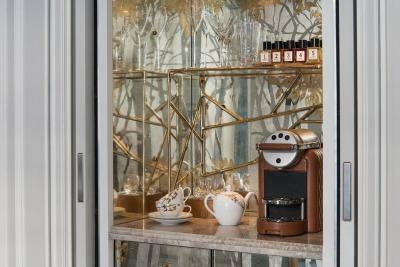 A Nespresso coffee machine, a selection of fine teas are at guests' disposal. 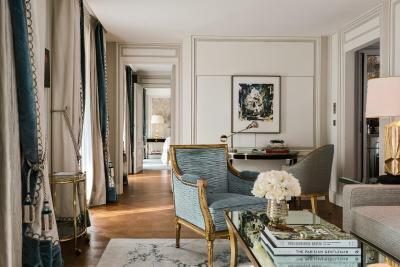 Decorated in a unique Parisian style, this suite provides a spacious bedroom with separate living room. 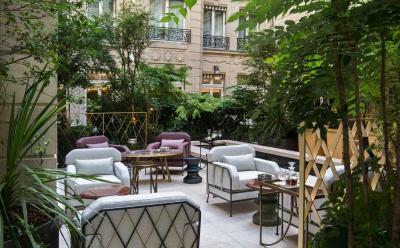 It offers views of the quiet pedestrian street or of the hotel's inner courtyards. 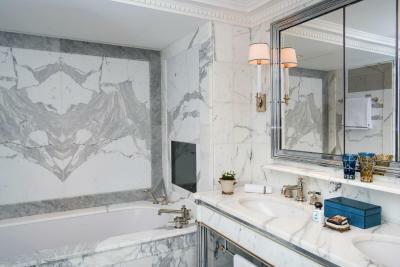 The large marble bathroom features underfloor heating as well as a bathroom mirror with an inset television. A walk-in rain shower and a bath are also provided. 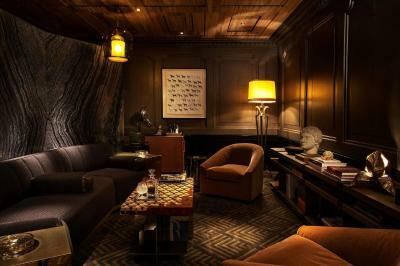 This suite has a seating area, bathrobe and soundproofing. 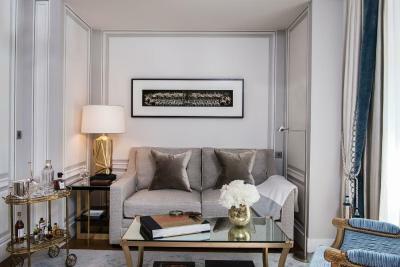 This quintessentially Parisian apartment is located on the top floor of the hotel and features a private balcony with views of the city and the Eiffel Tower. 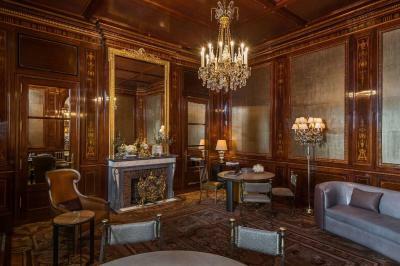 It boasts a marble bathroom with a separate shower and a soaking bathtub. 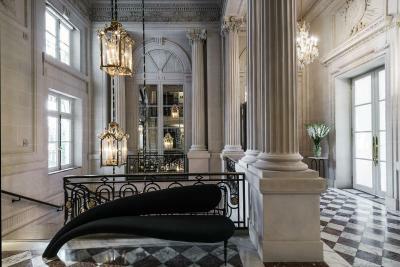 House rules Hotel de Crillon takes special requests - add in the next step! 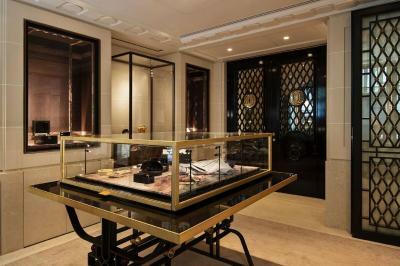 Hotel de Crillon accepts these cards and reserves the right to temporarily hold an amount prior to arrival. Pets (maximum 10 kg) can be accommodated upon prior request and at an extra cost of EUR 50 per night. A deposit is required for stays of 7 nights or more. 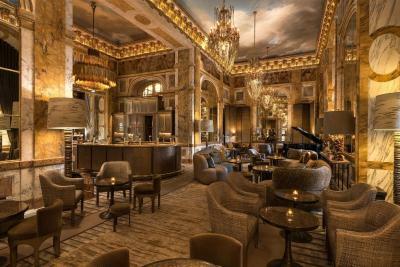 Smoking is not allowed throughout, a EUR 500 extra fee will be charged if this policy is violated. In the room was a little miffed... At the breakfast cappuccino was terrible in taste and i had to wait 20 min. for a crepe. Fruit plate in the room was poor. 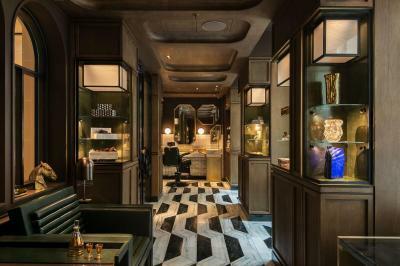 The latest renovation took lot of the royal character out of the property. It is now a very nice but very modern property which does not really fit its history. Fantastic hotel! 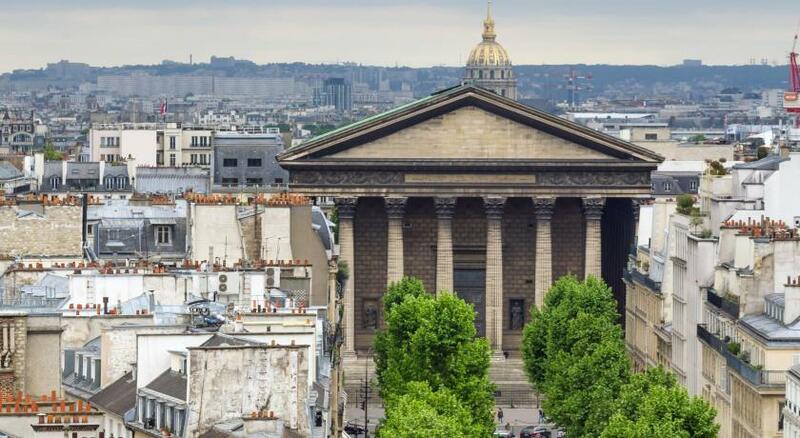 I will stay there again if I go to Paris next time.